Not all carbs are created equal – something you will know if you’ve been following a low-carb diet. But did you know that rather than cutting carbs completely, people should concentrate on choosing carbs based on their colour. In ‘The Truth about Carbs’ on BBC1 recently, Dr. Van Tulleken urged people to avoid all beige and white carbs because they have such a strong impact on blood sugar levels. Cutting them out can reduce body fat and dramatically lower your risk of diabetes. 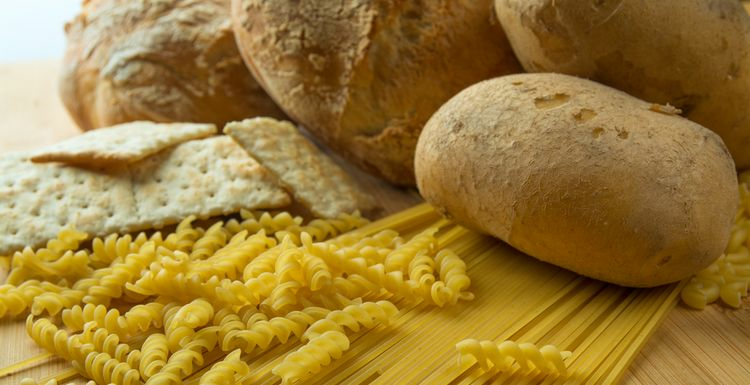 So what are beige carbs? Unfortunately, it includes delicious food such as baked potatoes, white rice, bread and pasta, cereals and other processed grains. And while most of us know that tucking into a pile of biscuits (or other ‘white carbs’ junk food) at 10pm isn’t a great idea, it’s quite a surprise to learn that everyday starches can be a problem too. The problem with beige carbs is that most of the starch and sugar within them are broken down into glucose, which is likely to be stored as fat in the body if you eat too much. Instead, you should replace beige carbs with more of the healthier “green carbs”, which are broken down into resistant starch. This is found in complex, high fibre fruit and vegetables such as sweet potatoes, butternut squash, celeriac, lentils, beans, pulses, rye bread and unprocessed grains. These get right down deep into your colon where they feed your gut bacteria. Before you chuck all your bread away, the way you cook beige carbs can apparently affect how your body responds to them. Dr. Van Tulleken showed that cooling and reheating carbs makes the molecules reconfigure themselves and become more resistant. This means they reach your gut bacteria and make blood spikes less likely. So toast frozen bread and reheat your porridge! However, the best option is to choose green carbs to benefit from their extra vitamins, minerals and fibre. Balance this with regular workouts and you will feel confident your are doing your best to fight disease, lose weight and have oodles of energy. I don't think we should worry about anything except that our food is unprocessed as possible. So enjoy your jacket potatoes - they are after all a source of vitamins and minerals anyway. I love my jacket spud - a great office standby when I haven't organised a proper meal. Sounds like I should keep the potato consumption down a bit. That's really interesting about the reheating carbs. I often freeze and then toast bread, so it looks like I'm doing something right!